It is so wonderful and I am honored and humbled to be nominated for the following awards. Thanks to everyone who stops by and visits my blog. Have a great day. It’s September 3, 2013 and on this day my total is amazing, 1,337 likes! Thanks to everyone of you who are continuously stopping by and liking my posts and blog. I was nominated for the Liebster Award by Violet over at http://ladybuglizziegail.wordpress.com/ in March 2013. 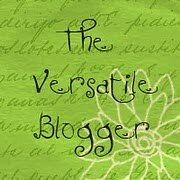 I was nominated for the Versatile Blogger Award by Karyl over at: http://artsywanderer.wordpress.com/ in August 2013. I was nominated for a second time the Versatile Blogger Award by my kind blogging friend Kimberly over at: http://words4jp.wordpress.com/ in December 2013. 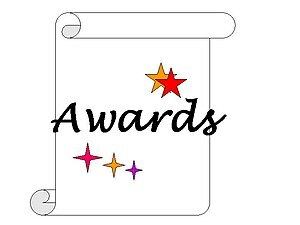 I was just nominated once more which makes a third time for the Versatile Blogger Award by a new blogger friend DJ Mynatt at: http://donnasbookshelf.wordpress.com/ in December 2013. This blog has reached having more than 200 likes in January 2013. So far the tally is 630 likes in all today April 2013 and it’s all because of you! Thank you everyone, you are all just so, so Amazing!!!! This blog has reached to over 100 follows and as of today it’s reached to 130. WOW! Thank you everyone. I appreciate you all. Today my tally came to 1,002 total likes! Thanks to everyone! Thanks so much. Today’s June 30, 2013 and it’s my first year anniversary on WordPress. Hooray! I want to share that this blog has been fortunate enough to have a total of over 1,010 likes and 178 follows, 1,262 posts and over 10,400 hits and growing. It’s amazing! This blog has reached to 200 follows and as of today August 13, 2013. WOW! This is amazing! Thank you everyone. I appreciate every last one of you for making this day possible. Have a blessed and wonderful day. A thank you gift for me…..wow! An award is always appreciated by me. Thank you….you are so sweet.